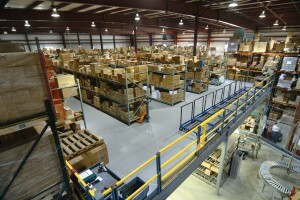 Are you in need of more work space for operations and not sure where you’re going to find it? Installing a mezzanine is a quick and easy way to add floor space without the cost, interruption, and disruptions of building and expansion. A steel mezzanine can be used as a work platform in your warehouse by building it to meet the weight capacity necessary to enable your staff to move freely and your equipment to be safely placed on it. Using a mezzanine as extra working space will maximize the overhead space that often goes overlooked and unused. Contact us today to speak to one of our work platform experts. 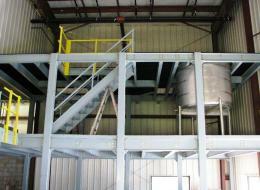 We will design the perfect mezzanine to match your growing needs.